If you haven't gathered by now, I love tea flavored/scented things, and bergamot is a scent/flavor I'm smitten with! 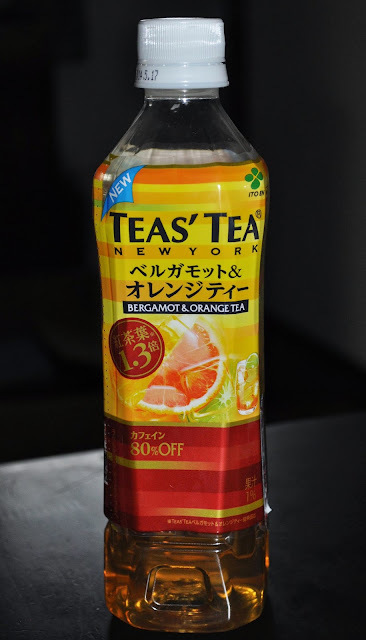 So, upon discovering Teas' Tea's Bergamot & Orange Tea, there was no doubt, I had to try it. Teas' Tea drinks are sweeter than your average bottle tea, but I have a major sweet tooth (more like sweet teeth), so I don't mind. Bergamot & Orange is a wonderful pairing that makes for a delicious and refreshing beverage. Ditto! I love discovering new yummy drinks.